Thank you, friends, students, trainers, counsellors and all our well-wishers. We couldn’t have done it without you. 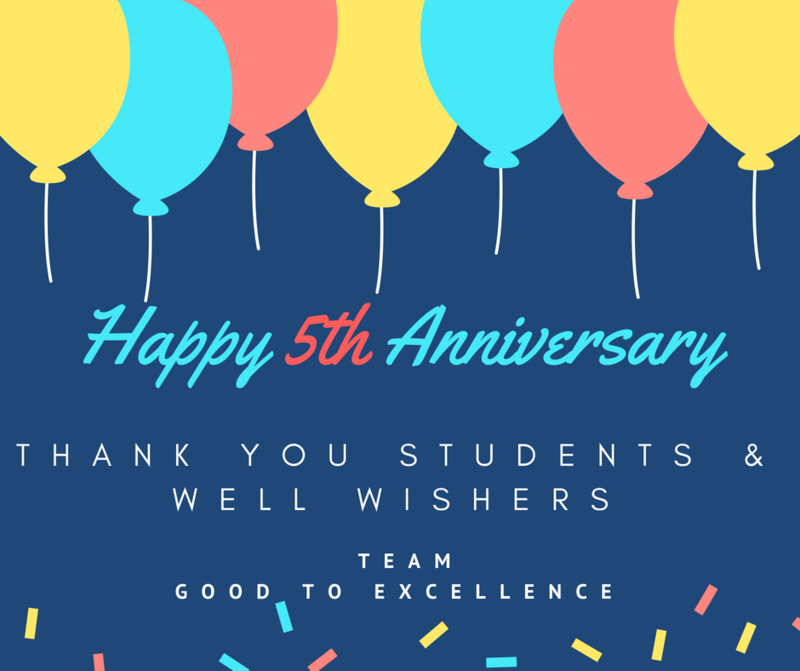 We are proud to announce that we are completing five years in providing training to the best of our ability in English, Communication, IELTS, PTE, TOEFL, Hindi and Kannada. The journey so far has been wonderful and satisfying. We would like to take the opportunity to thank you all because of whom we could achieve what we have today. The foundation of our institute was laid sometime in late 2012 and we started our operation on 10th June 2013 with a clear mission to help students achieve the next level, to make a move from Good to Excellent, to fulfill their dreams and motivate them to strive for the best. We are pleased to say every day we have been living this mission and satisfaction of our students and trainers proves it. Over these years we have expanded our portfolio to provide training on PTE, Soft Skills, Personality Development and Career planning. A few months back we successfully launched online classes, especially for those who are far off and want to have training from the comfort of their location. Increasing demand for online classes is an indication of the quality that we provide.